Enjoy all that Martha's Vineyard has to offer in this spacious two bedroom, two full bath beautifully furnished condo overlooking the ocean. Steps to the beach and a short walk to town, this location makes visiting the Vineyard with or without a vehicle easy. There is also a full kitchen with all appliances including washer and dryer. FREE WiFi INTERNET and cable TV allow you to stay connected. Enjoy the view of the ocean from almost every room is this condo including the deck. There is also an air conditioner in the unit. Sorry, no pets and no smoking allowed. Email or call with questions. Bathrooms are not handicap accessible. To confirm, you will need bed linens and towels. Here are the sizes. Master Bedroom: Queen	Guest Bedroom: Queen Aerobed (Queen) If you want to make arrangements with a linen service instead of bringing your own, http://www.takemmylinenrental.com/ is the best on the island. 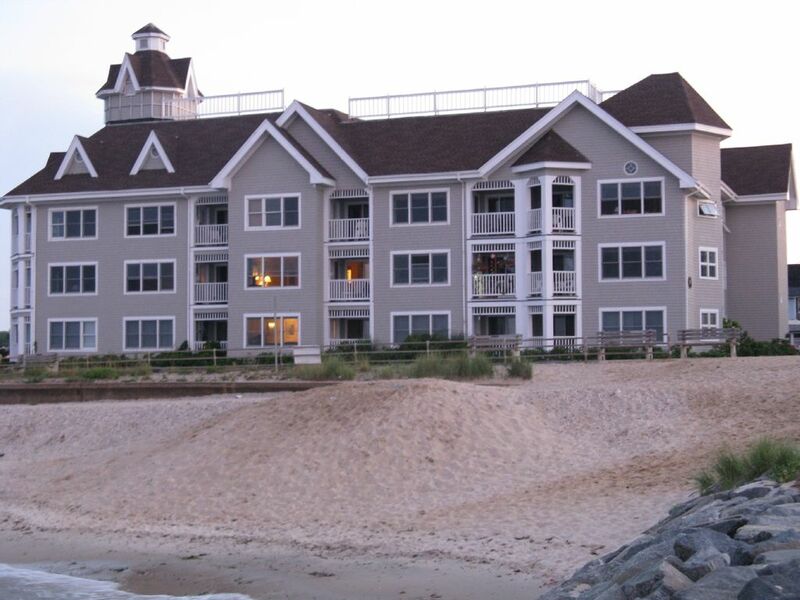 The Condos are the Prefect Spot in Oak Bluffs! The property is light and airy, wonderful beach couture. I’ve stayed here several times, it never disappoints. This was our first trip to MV and we couldn’t have asked for a better place to stay. The location of this condo is perfect, it’s a short walk into Oak Bluffs for the many shops and restaurants, beach directly across the street and a short drive or bus ride to Edgartown. The condo was clean and well stocked with everything you could need, including a nice little out door seating area looking out over the ocean. The owner was friendly and quick to respond to questions. The advertisement stated one queen bed and two twin beds and to bring sheets. There are two queen beds so I would recommend changing the advertisement. We enjoyed our stay at Seaview. Great location. We only had to bring our own linen. Otherwise, the condo had everything we could have possibly needed. This is a NO SMOKING and NO PETS property. WEEKLY RENTALS RUN SUNDAY TO SUNDAY. THIS HAS HELPED RENTERS WITH FERRY RESERVATIONS.